The Post Date will default to your current posting period. Click on the PASTE button. A pop up box will appear. DO NOT CANCEL THIS POP UP. Click Ctrl + V. The columns you copied from your spreadsheet should appear in the grid. 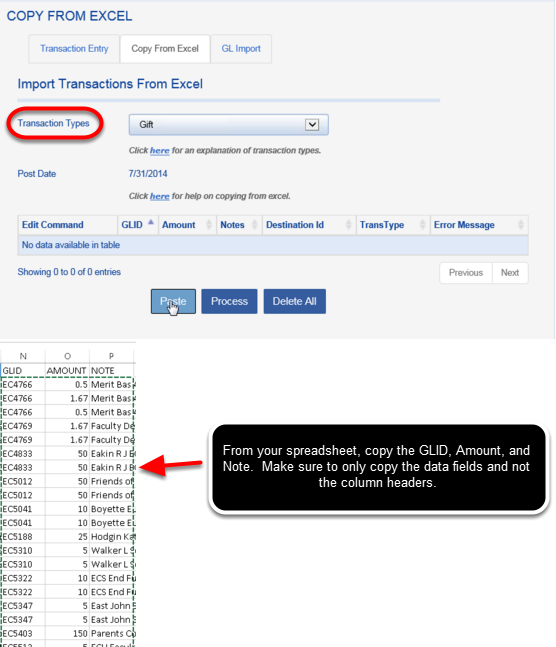 Once you see your data in the grid, click on the PROCESS BUTTON. 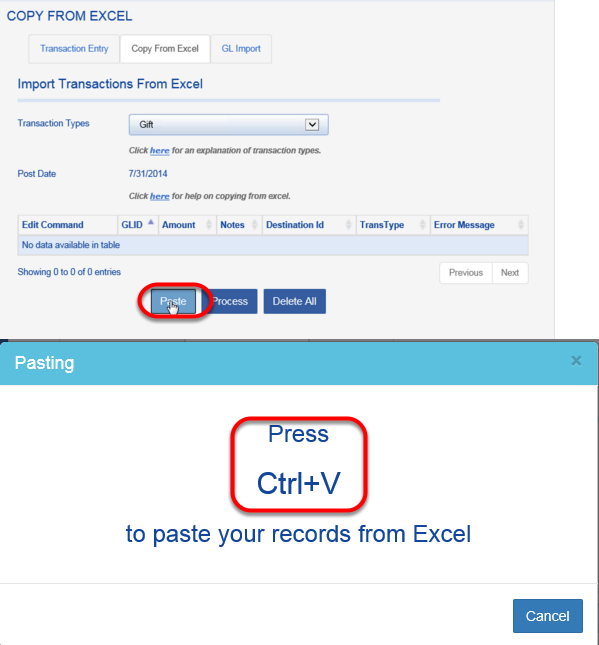 If you need to edit or delete any of the transactions prior to processing, you may do so by pressing the EDIT and DELETE buttons to the left of each row.